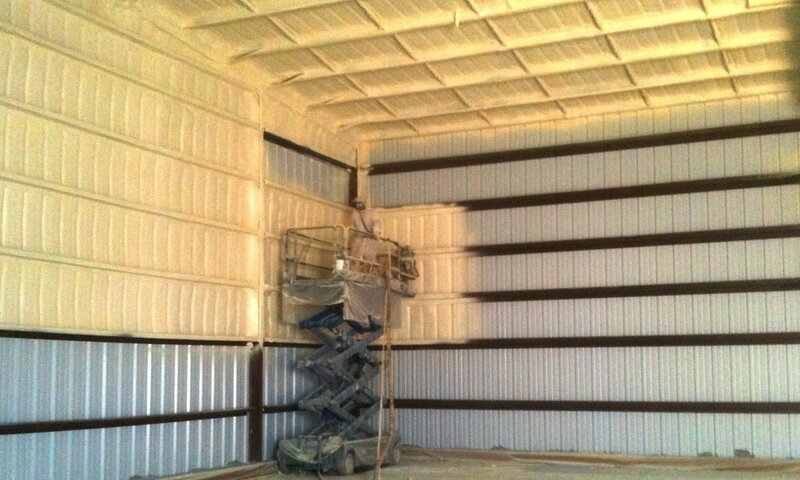 If your commercial, industrial, or municipal building needs a long-term, effective insulation solution, Universal Coatings can provide you with a Spray Polyurethane Foam Insulation System that will give you the highly controlled environment and value that you need. A big chunk of your insulating value can be compromised through gaps and metal fasteners when using a conventional insulation installation. However, our SPF Insulation System completely seals every joint, eliminating any air leakage through a monolithic, seamless application. If your building contains cold storage areas for perishables such as produce, beverages, and frozen foods, this system is especially useful. Superior Insulation Value: When compared to other systems, SPF Insulation offers a superior insulation value per inch. This provides us the ability to deliver exact specifications so our customers receive the flexibility that is required to create specialty environments. Energy Savings: SPF Insulation systems are the most energy efficient systems available allowing heating and cooling equipment to work less and require less maintenance. Typically, you will recover your entire system cost over a much shorter period of time than with any other system. Durable: SPF Insulation Systems lead the industry in long-term durability. Fast and Easy Installation: When compared to to other insulation types, SPF Insulation is less expensive and quicker to install. Versatile: SPF Insulation Systems can be used in a variety of environments, providing the ability to insulate and seal areas where conventional systems cannot be used.